In class, we recently watched the movie “Goodbye Christofer Robin”. The movie is primarily about Christofer Robin Milne´s childhood and the life of A.A. Milne, the author behind “Winnie the Pooh”. A.A. Milne was a soldier during world war 1, “the war to end all wars”. It was very difficult to be a soldier during this war because it was a “trench war” dominated by personal combat and slow progression on the battlefield, which left many military casualties. As many as 10 million soldiers are estimated to have fallen during this brutal war. 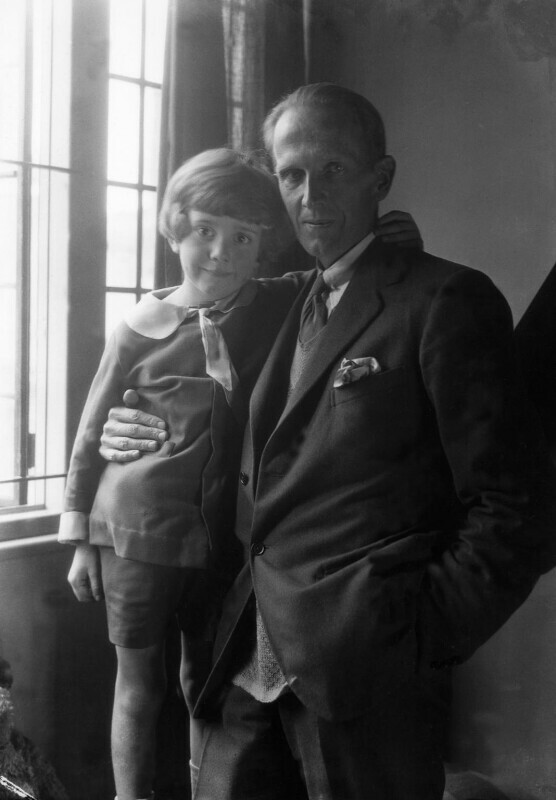 Due to A.A. Milne´s experiences from the war, he developed severe Post Traumatic Stress Disorder. This was seen throughout the movie when something triggered his PTSD, Milne would act out, sometimes towards his son Christofer Robin. On one occasion, Christopher Robin went on a walk in the woods with his dad and his friend E.H. Shepard and they tried to lift an object with balloons. This didn´t work and E.H. Shepard popped one of them, this triggered something in A.A. Milnes but he managed to keep his sanity. One by one they popped each of the balloons and this symbolized a change in mindset for Christopher’s father A.A. Milnes. The theme of happiness in this movie is important. I think that what makes me happy is doing things I like with people I like. This is something that Christopher Robin or “Billy Moon” as he is nicknamed lacks in his life. I believe that Christopher needed parents who were there for him. Further along in the story, I think he needed to just be a child, instead of a celebrity who was the inspiration for the Winnie the Pooh book series. Instead of making Christopher Robin happy, his father A.A. Milne decided to make a book which made everyone else´s children happy. “After the war there was so much sadness, then Winnie the Pooh came along.” (Christian & Curtis, 2017). Christopher Robin and his father had a sometimes strained & sometimes lovely relationship with each other. In the movie, they are seen together usually when they are taking walks in the forest near their house and playing together. What happens, later on, is that A.A. Milne decided to capitalize off of Christopher Robin´s childhood adventures. This is most obvious when Christopher Robin receives a call from his father on his birthday, with his father congratulating him. This is only to find out that they are being listened to on a radio show and that that is the reason his father called him. Christopher Robin had a really good relationship to his nanny, which he called Nanny. She was the one who took care of Christopher Robin most of the time, while his parents were “busy” doing all other sorts of things. At the beginning of the movie, it would seem as he would be a lot more worried about his Nanny leaving him than his actual parents. His nanny clearly has a parenting role throughout the movie. When she tells Christopher Robin about a guy she had been seeing, Christopher Robin became really upset, and this further upset his parents. They saw it almost like a betrayal that she would have a private life with a person she was seeing outside of what was her job. She then got fired. 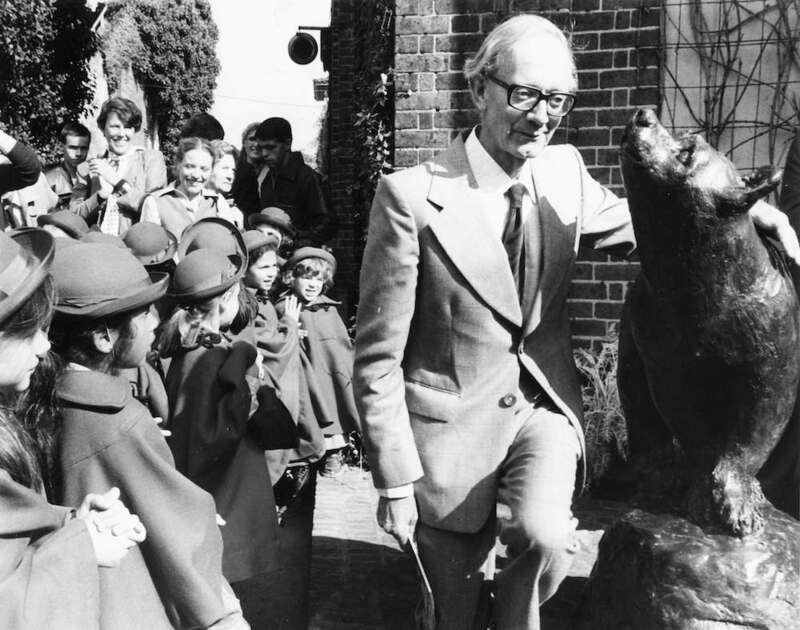 Later in the story, Christopher Robin would attend a British boarding school. The students at these schools are notorious for being rough towards “newcomers” and also for not including certain classmates. It is easy to say that life for Christopher Robin in boarding school was not easy, he was a regular target of bullying by his peers. In the movie, his bullies would say “Nobody cares, nobody cares when Christopher Robin got thrown down the stairs”. Christopher Robin hated the stories of Winnie the Pooh and he would try to attend the military when he finished boarding school. He was not accepted into the military and so he asked his father to try to get him into the military, considering he had a very high social status in British society. This was against A.A. Milne and his wife’s wishes, he believed world war 1 would be the war to end all wars, but history repeats itself. A.A. Milne felt like he owed his son to be granted his wish, and so he went through with it. Christopher Robin went to war. Later A.A. Milne and Daphne would receive a letter saying that their son had gone missing. It was assumed that he had lost his life at war, but thankfully this was disproven when he one day showed up at their house. The story of Christopher Robin would end rather happy when he ended up happily married and as the owner of a book store in Devon. Ellis Island, the island famous for being the beginning of many people´s journeys for the American dream. Over 12 million people made a stop at Ellis Island while migrating to the United States in the period between 1892-1954. Ellis Island is located outside of New York and New Jersey and is nearby the statue of Liberty. This is one of the first things many immigrants saw when they came to Ellis Island. The statue of Liberty is a symbol of American democracy and the freedom that is so highly spoken of in the “land of the free”. The statue of liberty was a gift that was given by the French to the United States in 1886. The statue of liberty depicts Libertas, a Roman goddess that represents freedom. The famous landmark became a National Monument in the U.S. in 1924 and a UNESCO world heritage site in 1984. On the topic of Ellis Island, I may actually have some family who migrated and went through the island on their way. By using the passenger search function on the liberty Ellis foundations website I was able to search through 65 million passenger records. When searching, I came upon many people named Tandberg, not so much with Alstadheim, in fact, there are no Alstadheims who came through Ellis Island. There are a lot of people in Norway named Tandberg already, so what I did was to find the Tandbergs that came from places in Norway that my family does. I found a man named John O. Tandberg and a woman named Johanna Tandberg, presumably man and wife, who arrived at Ellis Island in 1895. These two came from Drammen, a place which has historical ties with my family. I also found a man named Eivend Tandberg who emigrated to the United States from Cuba in 1907, which I find interesting. This man almost has the same name as my father, but my father’s name is Eivind, not Eivend. The name Eivend could also be a spelling mistake, nonetheless, he was probably chasing after the American dream. Another man who came to Ellis Island during the first half of the 20th century was Albert Einstein. The renowned German physicist who is famous for developing the theory of relativity came to Ellis Island in 1921. It was after his arrival in the U.S. that he would receive a Nobel prize in Physics. Albert Einstein is known as one of the most intelligent people in modern history and while in the U.S., Einstein played a role in the infamous Manhattan project during world war 2. America was and still is widely known as the land of opportunity. The United States is a country of immigrants and a melting pot. Those who come to the country come seeking a better life and what is known as the American dream. It is not always clear what the American dream means, but what is obvious to most is that almost anything is possible to achieve in the United States of America. Today in English class, we have discussed what differentiates the different English dialects, why English became the lingua franca and the importance of the English language in the globalized world. The reasons as to why English has become the standard language for international politics and business comes down to power. The British empire that roughly lasted until 1945, is important to why English has the reach it has. When they colonized most parts of the world, the British spread not only their culture but also their language. Little by little, the different colonial territories controlled by the British empire started gaining independence, including the territories in northeastern America, known as the 13 colonies. They would later become what we know today as the United States of America. The U.S. has had a lot of power for the last 200 years, both military power and political power, but also cultural and technological power. This way, the United States spread its influence and language. For instance, people all over the world watch movies and tv-series produced by the American film industry. After world war 2, both Great Britain and her former colonies still held a lot of power on the world stage. Political and economic might, lead the English speaking cultures to take lead roles in international agreements. It was (and still is) seen as wise to learn English in order to further one’s professional career. If it wasn´t for these historical occurrences, maybe so many people all over the world wouldn´t speak English as their 1st, 2nd or foreign language. Maybe Spain would have been the dominant colonial empire and I would be writing this in Spanish if things would have gone differently. English dialects vary greatly in different parts of the world. The dialects that have sprung up from the British Empire have blended with local languages, evolved and matured as its own separate variation of the English language. There are also multiple different dialects inside of the former British colonies. The English dialects that are spoken in the U.S., Australia, and Scotland for example, are hugely different from one and other. The dialect that is spoken in the U.S.A. commonly referred to as American English varies greatly from its British counterpart. Like in many other countries, the English spoken in the U.S. is a result of colonization. Broadly speaking, American English speakers tend to pronounce the “r” sound after a vowel, while British English speakers don´t. Another difference between British English and American English is that American English speakers tend to pronounce all the syllables in a word, while British speakers usually can leave out a syllable. It needs to be said that there is a lot of variation inside the American English dialect. You have different regional dialects, like southern or mid-Atlantic, and also sociolects and ethnolects inside of those again. Scottish English is the varieties of English spoken in Scotland. This dialect has a lot of history behind it, so it has a lot of variation depending on which region of Scotland you are from. In some parts of Scotland, the Scottish that is spoken may have a lot of influence from Gaelic, a language spoken in different parts of the British Isles. A common feature of Scottish English is that you would typically pronounce “r” with a roll of the tongue. Another characteristic is the “w” sound in Scottish that is commonly pronounced with an “h” in front, for words like “what” for example. Australian English is the English dialect spoken in Australia. The variation from British English was first recognized in 1820. Australian English is much closer to British English than it is to American English. Similar to British English, Australians don´t emphasize the “R” sound too much, compared to Americans. Many see Australian English as a combination of British- and American English. A difference between Australian English and the other English accents is that in Australia, you pronounce “i” in many words like an “oi”. There are very few regional differences in the Australian accent. Some members of society have some sort of prejudice towards gamers and gaming culture, but it turns out that gaming can be a helpful tool for learning in school. We recently played a game called “Spent”. The game is based on the economic difficulties that many Americans face. People who work in low-income jobs in the U.S. have a hard time getting by, and this is shown throughout the game. In Spent, you are presented with different economic decisions you have to take. For example, what job you choose, spending money on your child, bills, rent, and many more decisions. The way you win the game is by having money left by the end of the month, which is not an easy task. You will have to prioritize and live on a day to day basis economically. The concept behind this game is much more valid in American society than it is in Norwegian society. The economic issues shown in the game stands in stark contrast with how people would be treated in Norway if similar issues would occur. Norway has a more well-rounded and advanced welfare system than of that in the United States. If the game would´ve been taken place in Norway, the person would have been provided with free education for his/her child, free healthcare and the person would also be able to receive more in social security. Another issue you face while playing the game is that you can risk losing your job by simply having to take care of other issues. This would not happen as easily in Norway because the employee’s rights versus employers rights are much stronger here. Spent taught me a lot about the hardships many Americans face, it taught me more about inequality within American society and it also taught me about the sacrifices many American parents have to make in order to make a living. My classmates and I recently had the opportunity to speak with two classes. One in a city outside of New Dehli, and one in Tel Aviv. We spoke about climate change, how it was affecting them locally, and what is being done to put an end to it. The class outside of New Dehli which was 13 years old, talked about their main problems being air pollution coming from New Dehli, or smog, and the frequent floods that are happening. The teacher told us about one instance where a flood happened in a temple which resulted in many deaths. The school is taking action by recycling newspapers to make pencils. The class in Tel Aviv spoke to us about their climate change related issues, including droughts and water shortages. They said they have long and dry summers. The root of these problems is an increasingly arid climate. The country of Israel is on the equator which makes them extremely affected by global warming. My classmates and I received some feedback on our blog posts from a class in South Australia. They told us about the problems they are facing in Australia and also about their solutions to some of the climate change issues. Some of the problems they are facing in Australia are droughts, fires, high temperatures, and electricity shortages. The people of South Australia have come up with solutions to some of these problems. They are getting some of their electricity from wind turbines and solar panels, in order to use the use of fossil energy. They have also banned plastic bags and many fast food restaurants have stopped having straws to their drinks. In class, we have also seen a Ted talk from two sisters from Bali, Indonesia who talked about the issue they are facing on the island, of plastics and garbage laying around. They have taken action by starting a group called “the bye bye plastic bags crew” to try to reduce the usage of plastic bags. They have done petitions, beach cleanups, and they even went on a hunger strike to fight for their cause. They have worked together with celebrities and the United Nations to try to spread the message. In the end, their commitment towards a plastic bag free Bali worked. They met with the governor of Bali who they convinced to also commit to a plastic bag free Bali by 2018. Speaking with these individuals gave me a lot of insight into how people are being affected differently by climate change in other parts of the world. Climate change has reached a level where it is truly affecting people all around the world. These Skype sessions only further proved this point. In the continent of Europe, some kids and teenagers have done things to raise awareness to politicians about the effects of climate change. For example, Greta Thunberg from Sweden has been demonstrating outside of the Swedish parliament in order to draw attention to the issues. On this coming Friday (15. 02), thousands of schoolchildren and pupils are going to take part in a protest where they are going to be absent from their schools. Recently there have also been similar protests going on in Belgium and the Netherlands. The organizers of this upcoming protest were inspired by Greta Thunberg. These protests go to show that many teenagers today care about what their future is going to look like and that they are willing to work for it. It is obvious that in Norway, we have the resources to do more in terms of taking action towards climate change. Reading about, watching and talking to these people have inspired me to be more conscious of how much I use, and to take a stance against climate change. In general, we Norwegians should try to use less of the things that have a bad impact on our climate in order to reduce our carbon footprint. I think Norway should begin to gradually end oil production. We need to realize that this is the one thing we can do in Norway that will have the biggest impact on our carbon footprint. I and my English class recently watched a documentary on Netflix called “13TH”. The documentary is about the criminal justice system and how prisons are over-represented by African Americans, and also how politicians have treated crime issues in the past. After watching the movie I learned a lot about the statistics of how the number of prisoners of American prisons has changed over the years. In the 60s there were under 400,000 prisoners. Today there are 2,3 million prisoners. The U.S.A. makes up 5% of the world´s population, but it makes up 25% of the world´s prison population. I also learned more about how many past presidents have had this “tough on crime” approach, which all started with Richard Nixon´s presidency. The documentary gave me more insight into the lobbyist group called ALEC, and also how flawed the criminal justice system is. I learned more about systemic racism, segregation and how when slavery was abolished, prisoner laws were used as a loophole. One of the questions I still have is what is the prisoner laws like today? The Brexit campaign´s tactics were largely made up of anti-immigration rhetoric. Facts vs fear mean being skeptical of your sources and looking at statistics rather than consuming (in this case) anti-immigration propaganda. The imagery of a lot of immigrants walking in large groups is often used and is misleading. Many of those who are frightened by immigration are frightened by the crime they fear it brings and is a popular topic of many British tabloid news articles. These newspapers are not always the most reliable news sources. Many economists argue that immigration is very good for the economy and that immigrants contribute greatly to the British economy, and so is the trade deals. Brexit stands for Britain Exit. It is the movement that has sprung up in the UK in recent years. It is working towards leaving the European Union. UKIP has stood in the forefront of this movement. There is a lot of uncertainty surrounding exactly how the UK is supposed to leave the EU.